Here is my recommended tan for the summer. Either of these are great for any summer outing; wedding, picnic or birthday parties. Or use these to add a little spring to your work week. Purse number 1 on the left is made on a 12″ flex frame, giving it a dressier look. It measures 13″ x 11″ with more of a 14″ base and ample shoulder strap. There are 2 white and gold buttons on the front only. The interior liner is white with tiny white daisies. There are two ample pockets on the inside, one along the front and one on the back. 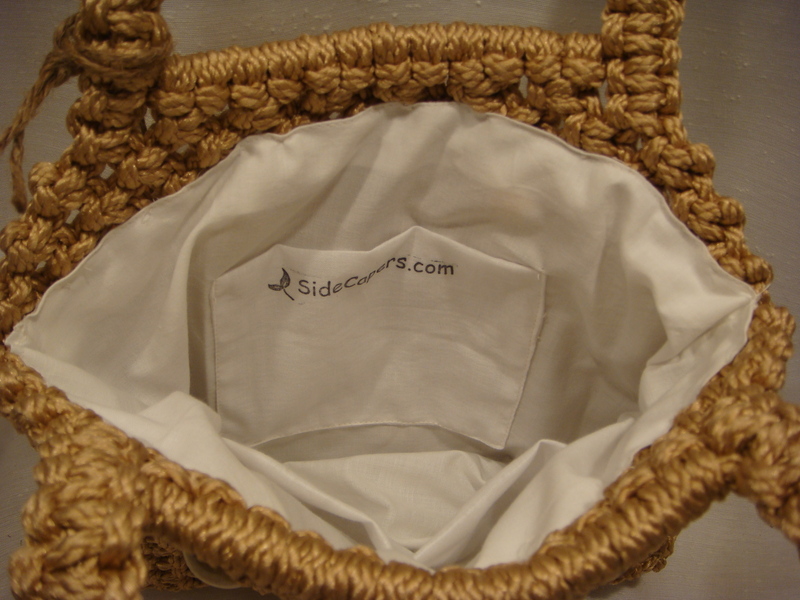 The flex frame closure keeps the contents of your purse inside. It also stays open the entire time you are looking for an item. Purse number 2 on the right measures 10″ x 10″ with the strap cords continuing down throughout the length of the purse. This gives it great strength. 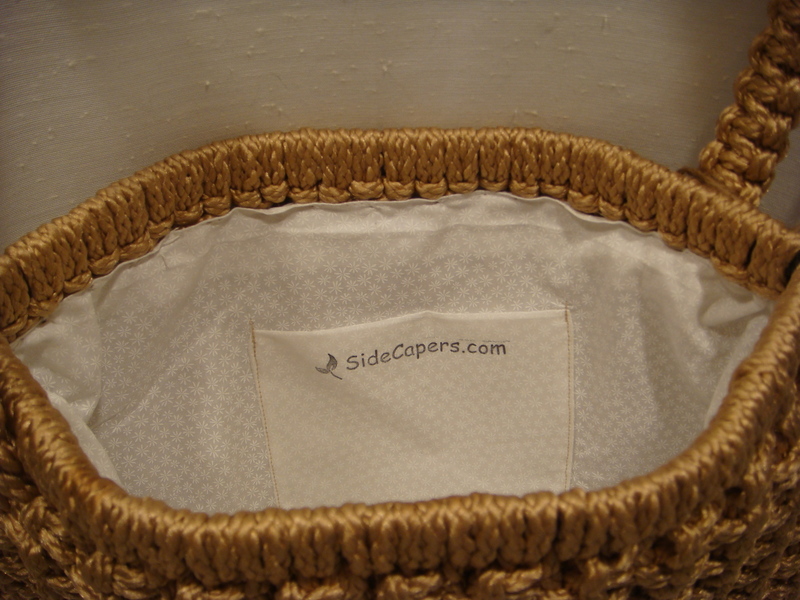 The tapered sides allows you to open the sides wide apart for easy access. 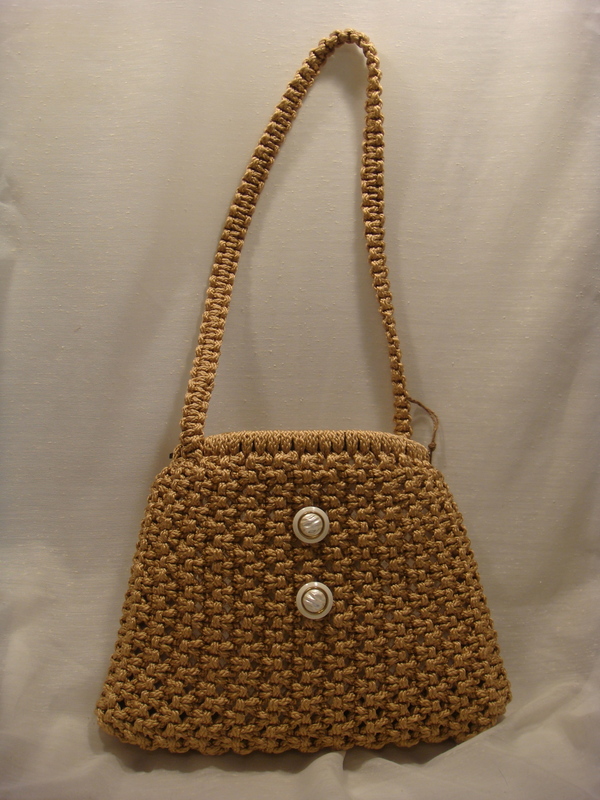 The three bead pattern is mirrored on both sides and the interior is white without any pattern, but has two good size pockets as the first purse. Both are easy clean. Why go out without a little tan. I can guarantee that it will brighten your day. 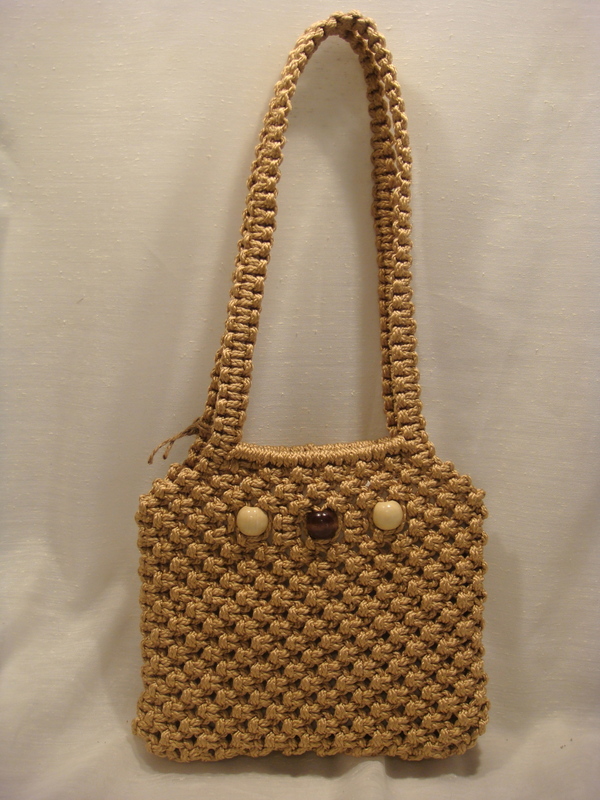 Click on the Purse Store tab to see these and other special macrame purses. Enter your email address and I will send you notification to all new posts by email. The food pyramid is a lie, meat fat is good for you, and many (if not most) health problems are treatable with diet alone. 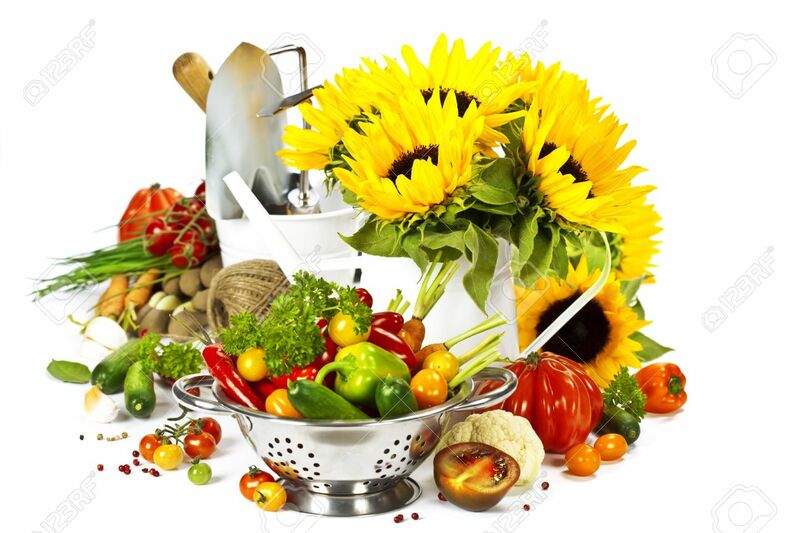 I'm in remission from severe arthritis (multiple joints replaced), chronic fatigue, depression and a plethora of other symptoms from changing how I eat. This blog chronicles how my family and my parents eat and what it's done for us. Featuring plastic craft eyes, animal eyes & comic eyes. Plastic safety eyes perfect for amigurimi, dolls, bears, puppets, plushies and animals. Amigurumi Crochet Patterns and tutorials.